Tumil-K is a supplement for pets who are potassium deficient. Tumil-K requires a prescription from your veterinarian. 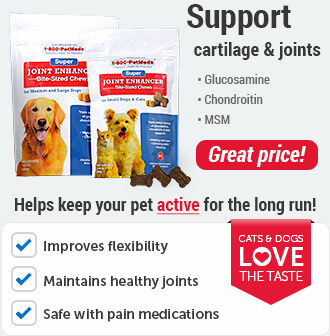 Potassium is important for normal muscle function in your pet. Give Tumil-K with food. Keep plenty of drinking water available for your pet. Safe use in pregnant pets or pets intended for breeding has not been proven. If your pet's condition worsens or does not improve, stop product administration and consult your veterinarian. Do not administer to cats with acute oliguric, anuric, or very advanced renal failure. Do not administer when high potassium levels may be encountered, such as adrenal insufficiency, acute dehydration, or urethral obstruction. 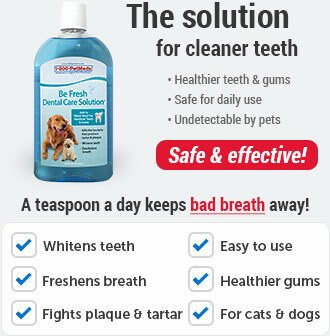 For use in cats and dogs only. Keep out of the reach of children. What is the most important thing I should know about Tumil-K? Tumil-K is used as a supplement in potassium deficient states. Tumil-K may also be used for purposes other than those listed here. 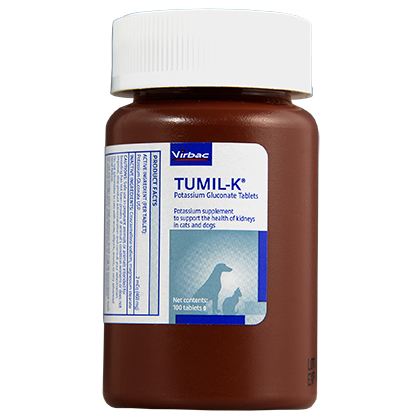 Tumil-K is a prescription medication FDA approved for veterinary use in dogs and cats. 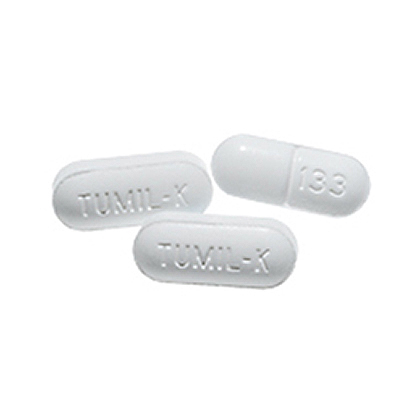 Tumil-K is available as 2 mEq (468 mg) scored tablets. 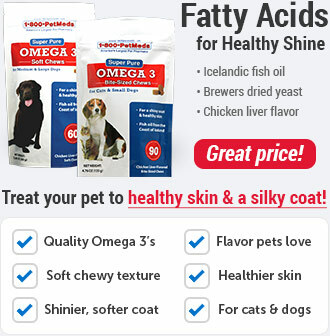 The usual dose in dogs and cats is 1 tablet (2 mEq) per 10 lbs of body weight twice a day. The dosage may be adjusted based on your pet's response to treatment. Tumil-K should not be given to cats with acute or very advanced kidney failure. 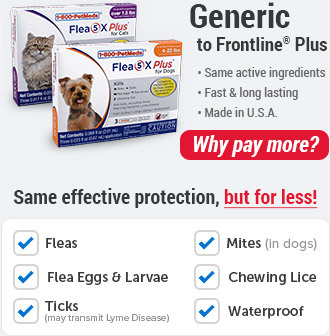 What should I discuss with my veterinarian before giving Tumil-K to my pet? Tell your veterinarian if your pet has kidney disease, urinary tract obstruction, or cardiac disease. Tell your veterinarian if your pet is pregnant or lactating. Also, tell your veterinarian about any medications your pet is currently being given. How should Tumil-K be given? Give this medication exactly as directed by your veterinarian. If you do not understand the directions ask your pharmacist or veterinarian to explain them to you. Tumil-K should be given with food. Make sure plenty of fresh, clean drinking water is always available to your pet when giving Tumil-K. Store Tumil-K at room temperature away from moisture and heat. Keep this medication away from children and pets. What are the potential side effects of Tumil-K? If any of the following serious side effects occur, stop giving Tumil-K and seek emergency veterinary medical attention: an allergic reaction (difficulty breathing; swelling of the lips, tongue or face; hives). Continue giving Tumil-K and talk to your veterinarian if your pet experiences muscular weakness, GI disturbances or cardiac disturbances. Other side effects may also occur. Talk to your veterinarian about any side effect that seems unusual or bothersome to your pet. What happens if I miss giving a dose of Tumil-K? Give the missed dose as soon as you remember during the same day. However, if you don't remember until the next day, skip the dose you missed and give only the next regularly scheduled dose. Do not give a double dose of this medication. What happens if I overdose my pet on Tumil-K? If an overdose of Tumil-K is suspected, consult your veterinarian or emergency veterinary clinic immediately. What should I avoid while giving Tumil-K to my pet? Tumil-K should not be given to cats with acute or very advanced kidney failure. Tumil-K should not be given to pets with other diseases where high potassium levels may be encountered, such as adrenal insufficiency, acute dehydration or urethral obstruction. What other drugs will affect Tumil-K? Tumil-K may react with Corticotropin, Difoxin, Penicillin, Diuretics, Rimadyl (and other NSAIDs), Glucocorticoids, Mineralocorticoids, Anticholinergics, and Benazapril (and other ACE inhibitors). Tumil-K is a prescription medication used in dogs and cats as a supplement in potassium deficient states, particularly in pets being given digitalis. Tumil-K should be given with food. Allow plenty of water for your pet to drink. The dose of Tumil-K may be adjusted by your veterinarian based on the pet's response to treatment. 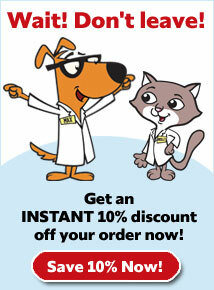 The usual dose in dogs and cats is 1 tablet per 10 pounds of pet's body weight twice a day. 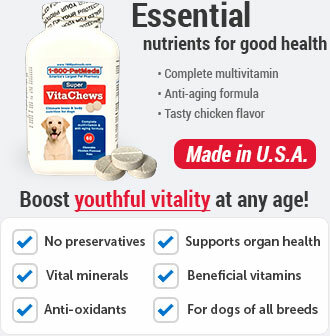 Give Tumil-K exactly as directed by your veterinarian. Store Tumil-K at controlled room temperature 59°-86°F (15°-30°C). Other Ingredients:Croscarmellose sodium, magnesium stearate.